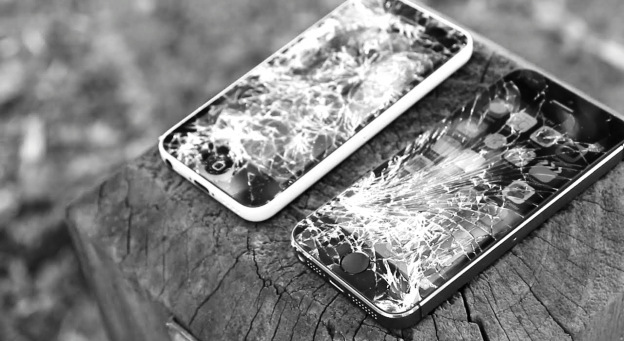 The iPhone 6 is no stranger to being blamed for miscellaneous misfortunes, from draining the household groceries fund and iphone suicide attempts to #bendgate. However, this is a new one. 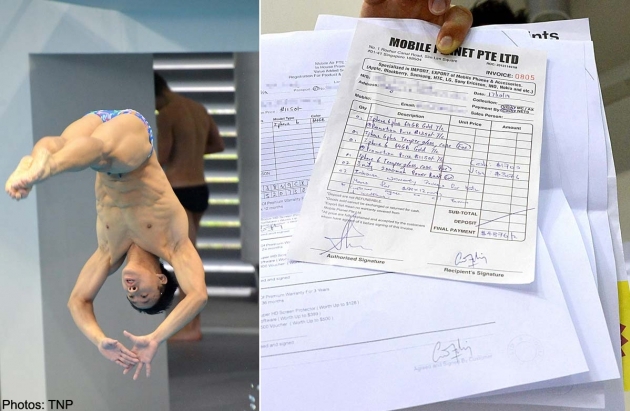 Coaches for Malaysian diver Ooi Tze Liang blamed his poor performance at the Singapore Final Diving Grand Prix 2014 finals on the – probably – blameless phone. Ooi finished fifth in the men’s 3m springboard finals on Monday, blaming the lackluster performance on a bad experience while purchasing his 2 iPhone 6s. 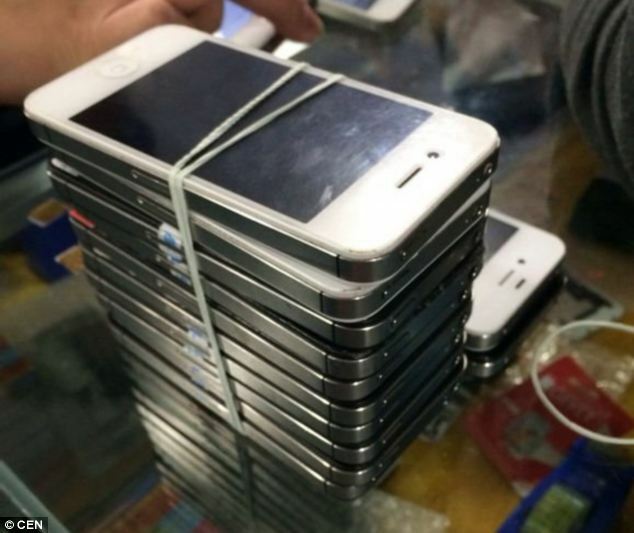 It sounds positively laughable, but not after you realize that the Malaysian Commonwealth Games gold medalist forked out more than $4,500 for two iPhone 6s. He had bought the phones at Mobile Planet shop at Sim Lim Square the night before the competition. The two phones cost $1,148 and $1,288 respectively and should amount to no more than $2436. However, when he signed the contract, he realized he had agreed to add an additional $2,376. Where did this extra charge come from? Apparently after paying for the phone, he was offered an in-house warranty package that can cover most damages suffered by the phone in the days to come. “We were told that the international warranty features would cover almost every (type of) damage but the shop owner did not say how much it would cost us,” he said, adding that the additional costs were not divulged until after he signed the contract. The resulting contract meant that Ooi had to either pay up, or forfeit the phones pay an additional $800 to cancel the contract in order to get his phones. Instead of paying the $800 to cancel the contract and swallow the loss as sunk cost, he decided to pay up the ridiculous amount of $2,376 (or the equivalent of two more 16GB iPhone 6s). He paid a total of $4,876 for the two phones, two power banks, and an overpriced warranty that would hopefully cover the phone in the event of an apocalypse as well. Since the contract is all powerful, there is little that the authorities can do to contest this obviously outrageous ploy. Being scammed weighs heavily on the mind. The victim ended up blaming him/herself for falling victim to a seemingly obvious scam. Maybe that was what weighed Diver Ooi down as he was performing the dives and led him to be unable to focus wholly on the event. One easy way to avoid getting scammed is to do your homework prior to the purchase. The internet is a grand invention that allows all of us do get ample research done on the products and places to get them. A quick search of ‘Sim Lim Square, Singapore’ gave us many of reasons to stay far away, with 104 rating the place “Terrible” out of 202 votes on TripAdvisor. 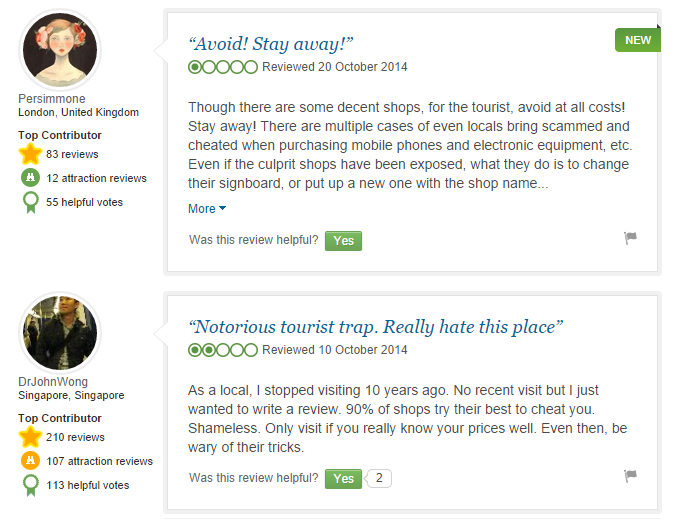 Even the users rating the places at 5 stars had to warn the buyers to steer clear of getting mobile devices or expensive items there, sharing that levels 4 and below as scams and tourist traps. Never fall for the “This deal is only good for today” bait! Take your time and be patient. Don’t rush into anything and take everything the salesman tells you with a grain of salt. Always, always read through the contract before you sign it. Be sure that you know what you’re getting yourself into. When making a bigger purchase, bring along a friend (or two). It’s good to have more ears and eyes about you to ensure that you’re not missing out on anything. Scam artists are professionals who confuse their victims into accepting deals they would not touch with a ten foot pole under normal circumstances. Oh, and another thing to bear in mind: If it’s too good to be true, it probably is. If they’re offering to sell you two iPhone 6 for the price of one, you will probably end up with an overpriced paper weight. In the meantime, we would like to encourage all our readers to purchase from reputable stores to avoid the tactics of unscrupulous salesmen (or con-men). It is worth it to paying the recommended retail price (or a little higher) for the peace of mind.